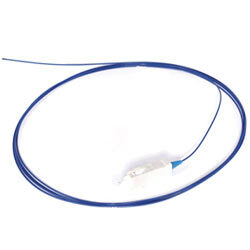 900µm buffered 62.5µm, 50µm fiber and SM fibers with SC, ST-style, LC and MT-RJ connections on one end and loose fiber on the other end. Used for fusion splicing to OSP or building cables or pigtailing to active devices such as lasers or LEDs. HomeNetworkGear.com is a leading provider of phone systems. We specialize in home network gears. All orders, small or large, are welcomed with no minimum order requirements.